Will know basic obedience commands; Come, heel, Whoa, kennel, load, here. 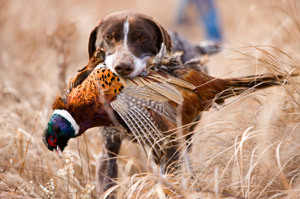 Does your dog have behavioral problems; gun shyness, blinking or just not handling well in the field? We can help you with most behavioral problems you will encounter. Trained Retrieve – No force training (toe pinch, ear pinch) here. We use humane methods to teach retrieval skills. 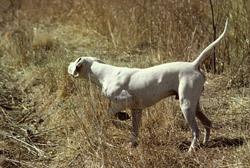 Field Obedience – Dog will be trained to handle with voice and whistle commands.